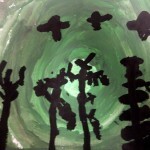 First graders studied photos of the northern lights, and we all learned that this phenomenon occurs when gas from the sun affects very cold regions of the planet – specifically, near the north pole and the south pole. 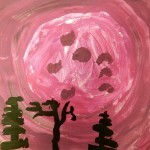 We started the picture by either creating a sky made of a tint or a shade of one color. 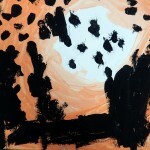 Students learned that a tint is any color plus white, and a shade is any color plus black. 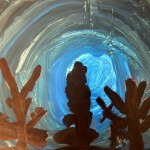 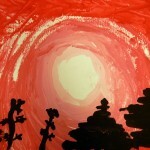 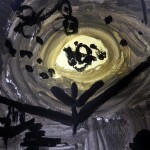 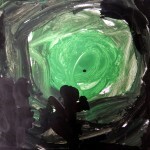 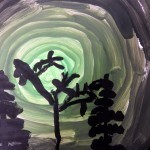 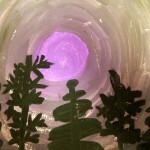 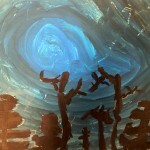 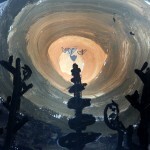 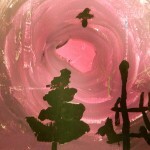 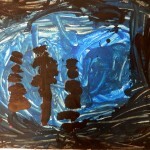 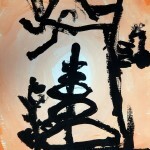 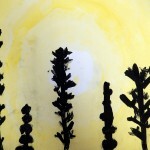 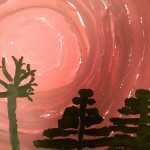 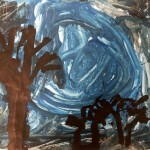 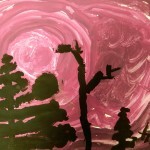 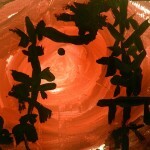 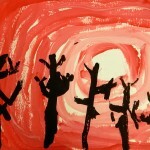 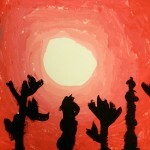 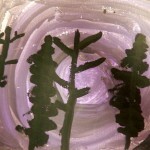 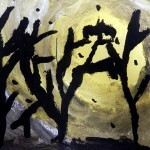 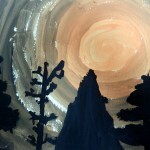 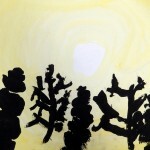 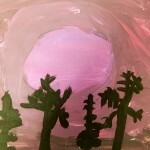 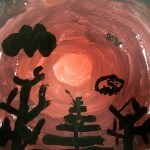 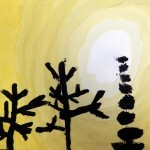 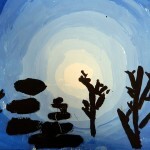 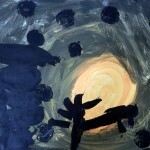 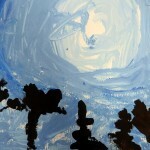 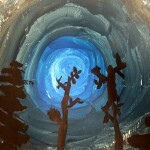 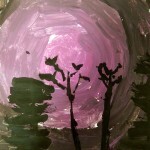 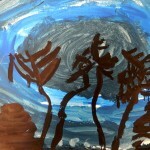 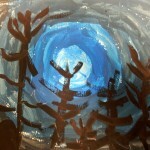 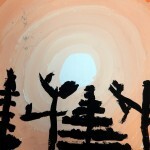 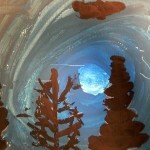 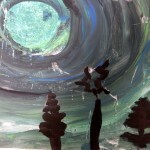 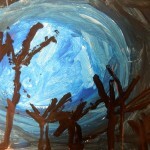 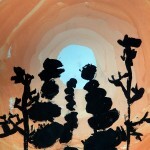 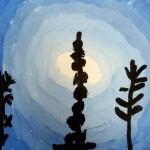 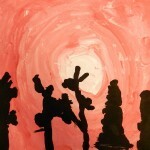 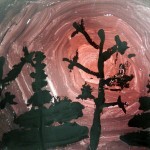 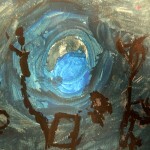 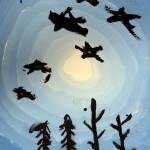 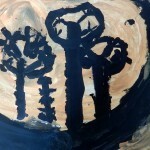 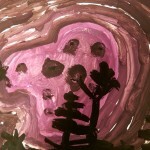 Once dry, students drew tree silhouettes onto the sky, and painted them in with black tempera.